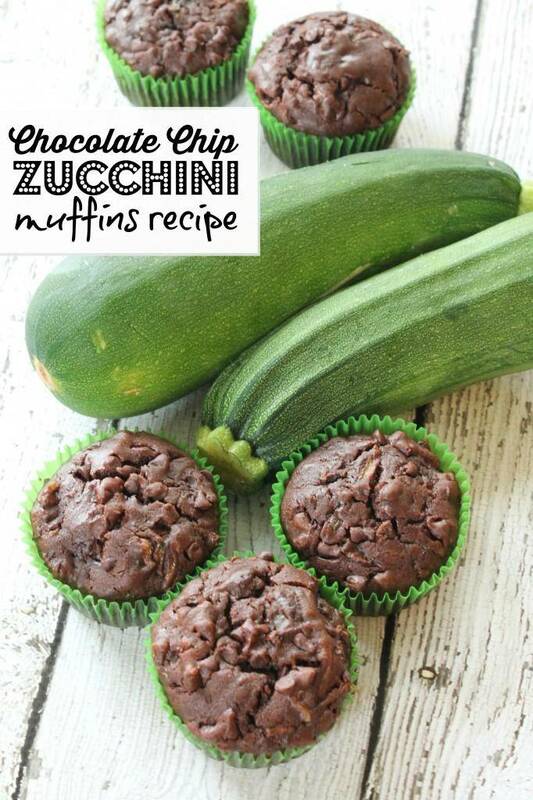 We have an ABUNDANCE of Zucchini growing in our garden right now and I’ve been trying new Zucchini Recipes trying to get creative and this Chocolate Chip Zucchini Muffins Recipe is one of my favorites! These are easy to make ahead at night and have ready to go in the morning! Plus, my kids love them and we aren’t eating Zucchini EVERY Night for dinner :) These also freeze really well if you want to make them up now while you’re garden is in full swing and pull them out in a few months for Back to School! This recipe uses Fresh Zucchini. You will need to grate it using a cheese grater or other slicing/shredding device. Amazon sells these Stainless Steel Graters for just under $8 + They ship free if you have an Amazon Prime Membership! These work great! These are delicious! Nice and mosist and I used regular chocolate chip. This was more delicious and smoother than a chocolate cake! I used avocado oil. I made these with my garden zucchini and they were delicious! My family loved them and I took some to the neighbors who said they were tasty as well. Super easy too. Thank you! I just made these with gluten free flour and they turned out amazing, finally something I made that taste great and gluten free!! Do you peel the zucchini for this recipe? How many zucchini did you need to get 1 1/2 cups? I made these into mini-muffins for our church’s coffee hour. Everyone LOVED them! I had one teenager tell me that she doesn’t like zucchini, but she absolutely loved these! This is definitely a keeper! About how many calories per muffin? I’m not really sure on the calorie count. I’m sorry. I just made these and they are delicious to say the least!! The only modification I made was using 1 cup of sugar versus 1/2 cup of sugar & 1/2 cup of brown sugar. I didn’t have the brown sugar on hand but they still turned out scrumptious! Thanks for sharing the recipe :) I will certainly make these again. These are delicious!! I only had a half bag of mini Chico chips and found that was plenty – also added 1/2 cup of chopped pecans. Thanks for a really great recipe! 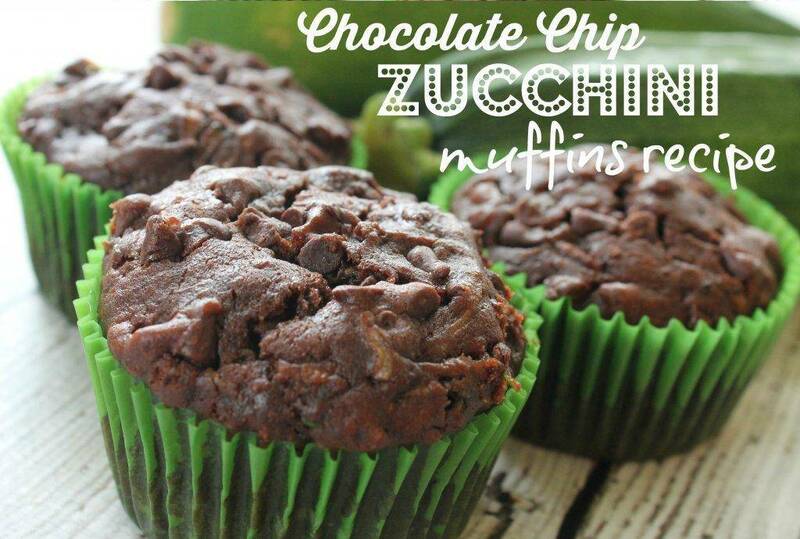 I have friends coming for coffee and needed a chocolate zucchini muffin recipe. I did a pinterest search and your recipe came up. They are delicious!! Friends will be here soon and will help me gobble them up. Thank you! Have you tried replacing the sugar and egg with banana? That would be a great switch for fat and sugar content. I haven’t tried that. If you do and like it, feel free to comment with how it turned out. have you ever frozen these? thinking they would be great to grab one in the mornings on the way to work but muffins are never as good after a couple of days. Hello! After I shredded the zucchini do I drain off all the excess water? So if you do, don’t do it too much. Thank you! I made these and they were a hit! Even with my son. Delicious!